Most NYU Law students have been out of school for a few years; after four years of college undergrad and one or more years living in a “real” apartment (or, let’s be honest, in a share house in outer Brooklyn), the last thing many of us want to do is to return to the ugly wooden furniture we left behind with the LSAT. Note: room is not to scale. I felt this reluctance when I first matriculated at NYU Law. Living in Australia at the time, I had no real choice but to take NYU accommodation (it is almost impossible to do an apartment search in New York from overseas). But it turned out to be a very happy choice. The first reason is perhaps the most obvious: location. 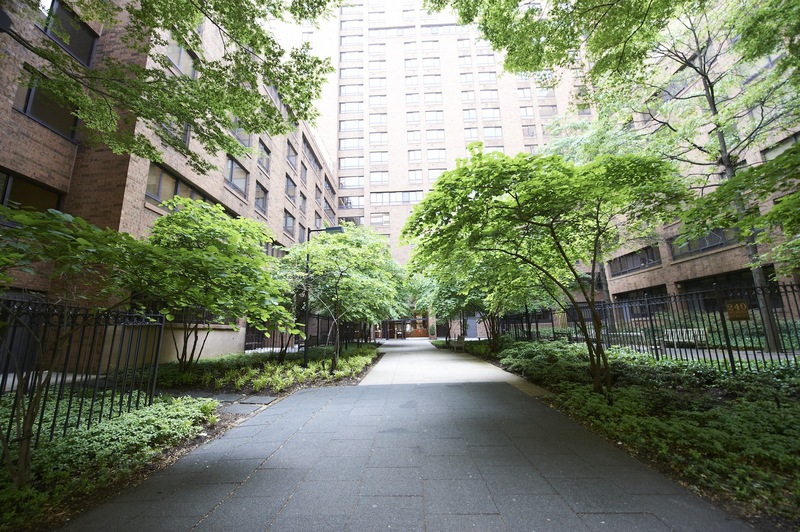 D’Agostino Hall is directly opposite the main law school buildings; Mercer Street Residence is less than 10 minutes’ walk away. Being able to go back and forth so easily between home, class, and the library (where, let’s be honest, you’ll really be living your first year) is unbelievably convenient. The whole law school experience is far more pleasant, and your days are far more productive, without the commute. 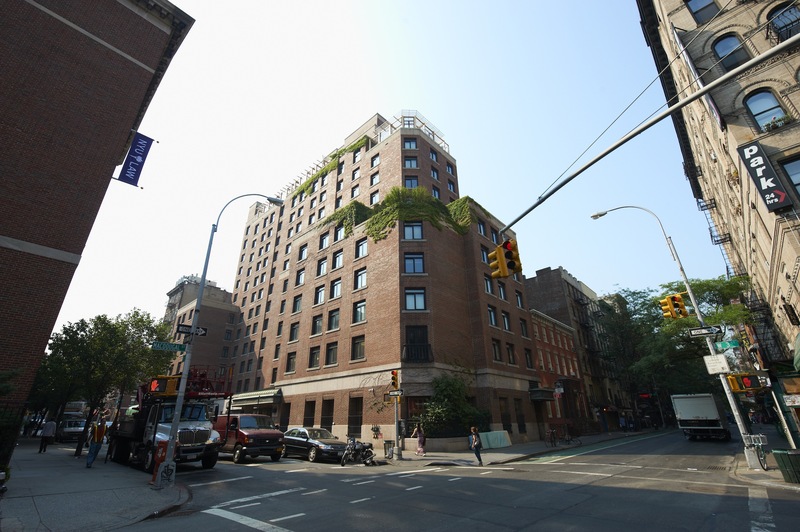 Given that the only readily available alternatives at comparable rents are situated far from the West Village, the law dorms really are the best location at the best price. The second reason is closely connected to the first, which is that you’re in a Law School building. This means you get cable TV and super-fast Internet without having to deal with Time Warner Cable. True New Yorkers will know exactly how precious this is. You also get automatic access to all of NYU’s scholarly resources (and free printing! ), which is very helpful if, like me, you’re having to do research constantly. There’s also good security and laundry in the building—both things you would kill for in the local property market. Even more importantly, repairs are usually done within 24 hours of requesting them online. Try making that happen in a New York apartment (with affordable rent). 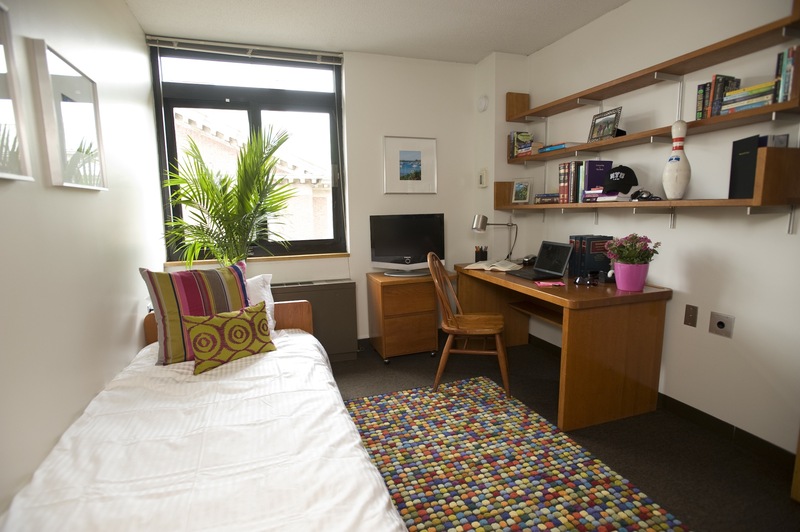 Third, the rooms in Mercer in particular are large and comfortable. The ugly wooden furniture can be a pain and the chairs are uncomfortable for long periods, sure, but nothing a trip to IKEA can’t fix (and when you move out you’ll need furniture anyway, so it’s hardly an imposition). Kitchens have been upgraded and are modern and well equipped. The walls are thick, which helps when you’re studying and your roommate enjoys heavy metal. Indeed, you could hardly ask for more. My only pet peeve has been the windows, which lack internal flyscreens (and thus can invite mosquitoes in the late evenings), but careful Amazon shopping for installable flyscreen and about five pounds of bluetack solved this problem, too. Finally—and this point is overlooked by many—living on campus means I avoid the myriad problems and stresses of living off-campus. I don’t have to worry about subletting in the summer (important for me, since I’m going to DC and will be relocating there after graduation). I don’t have to deal with shady landlords, shadier rental brokers, the utter insanity of the New York property market, or really anything at all to do with housing. I can focus entirely on my studies, enjoying New York, and finally beating Napoleon in Civilization V. That’s peace of mind for which I’d gladly pay a premium. But on campus, I don’t have to. This entry was written by Alec Webley '16 and posted on October 15, 2014.